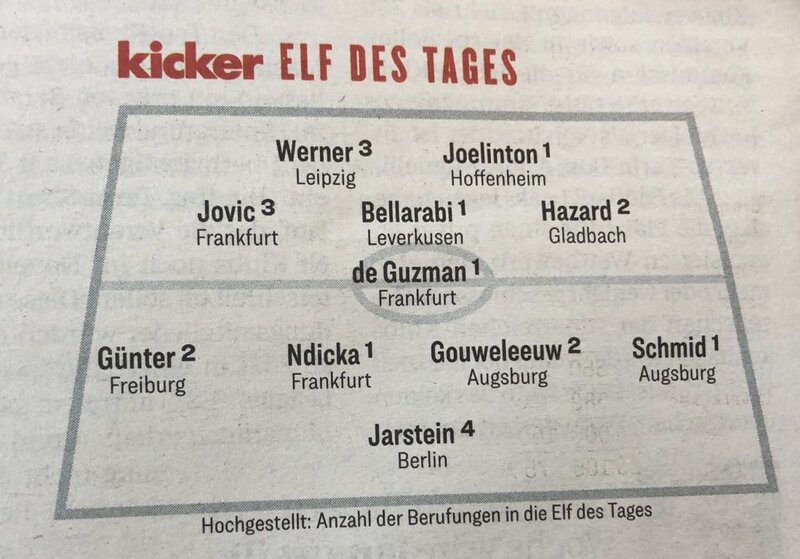 It’s a maiden team of the Week nomination for five players- Hoffenheim’s Joelinton, Leverkusen’s Bellarabi, the Frankfurt pair of Ndicka and de Guzman and Augsburg’s Schmid. Not a single Bayern player made it to the list, perhaps an indicator of their struggles recently under Niko Kovac. Are the players looking to get him out? We’ll have to wait and see!